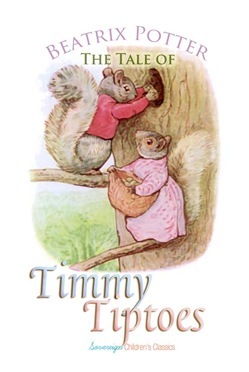 Once upon a time there was a little fat comfortable grey squirrel, called Timmy Tiptoes. He had a nest thatched with leaves in the top of a tall tree; and he had a little squirrel wife called Goody. Every day they made several journeys and picked quantities of nuts. They carried them away in bags, and stored them in several hollow stumps near the tree where they had built their nest.